A sustainable solution for communities large and small. The East Coast Greenway is a collaborative effort that has attracted more than $1 billion in public investment in its first 25 years. The dream of a 3,000-mile protected biking and walking route represents a commitment to public health, environmental sustainability, economic development, and civic engagement. Together, we are connecting people to nature and communities via a safe, accessible Greenway. The study, "Investing in Our Future: Quantifying the Impact of Completing the East Coast Greenway in the Delaware River Watershed" was prepared by NV5 and EConsult Solutions in March 2019. The report's key finding: Completing the East Coast Greenway in the Greater Philadelphia region would mean $3 billion in public health, environmental, and economic benefits. The East Coast Greenway Alliance commissioned a study in 2017 to put numbers on what we know to be true: Greenways are good for economic growth. Prepared by Alta Planning + Design and sponsored by GSK, the report finds that the East Coast Greenway generates $90 million in total benefits annually for the Triangle region, from gains in health and the environment to transportation and access benefits, economic gains, and increased property values. Our 2017 Annual Report celebrates the progress we made in 2017, the 25th anniversary of the East Coast Greenway Alliance. Our annual report offers an overview of the year's accomplishments, a financial summary, and acknowledgement of our many generous partners and supporters. Also included is an insert report on our fall 2017 East Coast River Relay, the largest program undertaken by the Alliance. The report spotlights some of the 200-plus partnerships forged during the River Relay and focuses on the Greenway's impact on environment, climate change, health, and economic vitality. Our 2016 Annual Report celebrates another remarkable year of achievements and the East Coast Greenway Alliance’s 25th anniversary. 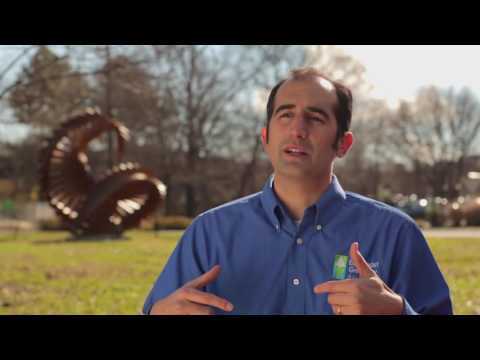 It's a tribute to the members, partners, volunteers, and more who keep the Greenway growing. State by state, meet people working to advance the Greenway and read about how leaders are embracing the East Coast Greenway’s promise. The work of the East Coast Greenway Alliance encourages people to develop active lifestyles, interact and make positive impacts on the environment, boost local economic development, and connect with communities. In this video produced by one of our partners, the Z. Smith Reynolds Foundation, meet Executive Director Dennis Markatos-Soriano and learn a little more about our vision and impact.